What kinda crazy fruit is that? I want to eat it, but I also fear it. 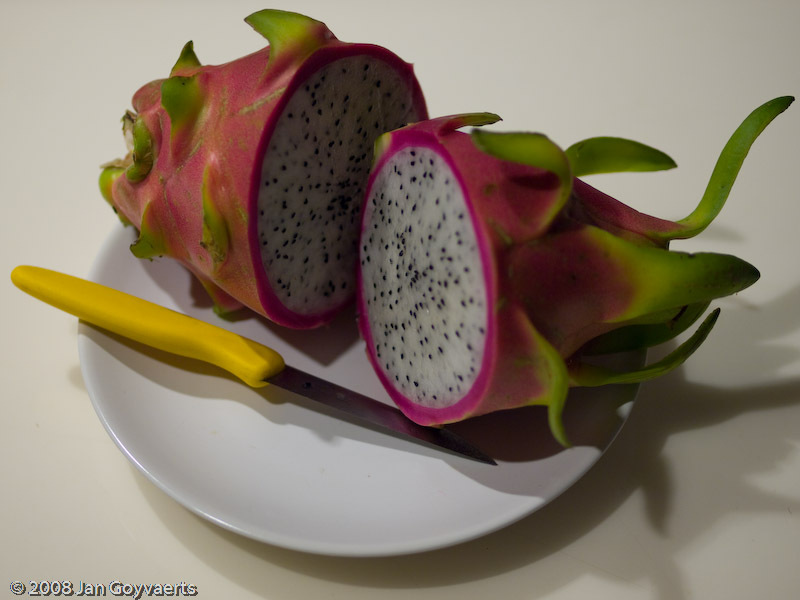 It’s called “Dragon Fruit”. First cut it in half. Then scoop out the white flesh with a spoon. Eat it seeds and all. There’s also a variety where the flesh is as pink as the skin. Both taste sweet.